Royal International Pakistan is a leading Cosmetic manufacturer located in Lahore, Pakistan. Our prestigious team of cosmetic manufacturing chemists have more than 30 years of experience in researching, developing and manufacturing cosmetics for some of the largest national brands. Royal International Pakistan’s cosmetic manufacturing facility specializes in skin care manufacturing, lotion manufacturing, shampoo manufacturing and more! We manufacture cosmetics to meet your needs. 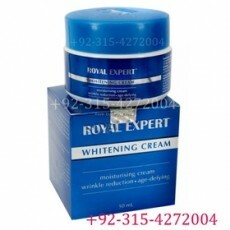 Our core product is Royal Expert Whitening Cream which we export all around the globe.